Chlorine is a naturally occurring chemical used as a disinfectant and oxidant in the drinking water industry. Chlorine is commonly used around the world as it is a cost effective / easy to apply chemical. 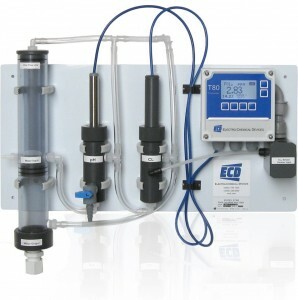 Chlorine can also be easily measured by process monitors and laboratory equipment. Normally two possible methods are available for the measurement of chlorine, free chlorine or total chlorine. Free Chlorine is the measured value of residual chlorine which is not bound to organic matter after treatment.